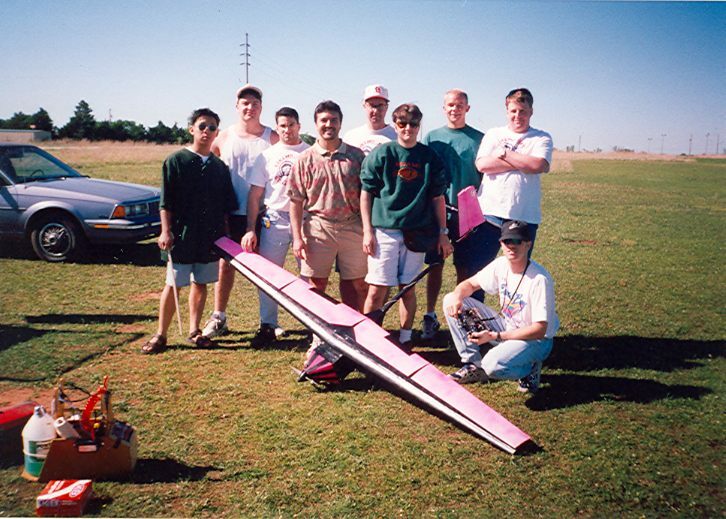 The OSU Black team's Pink Panther was designed and built in 1995 by a team of Aerospace, Mechanical, and Electrical engineering students at OSU as a project for MAE 4374 Aerospace Systems Design. 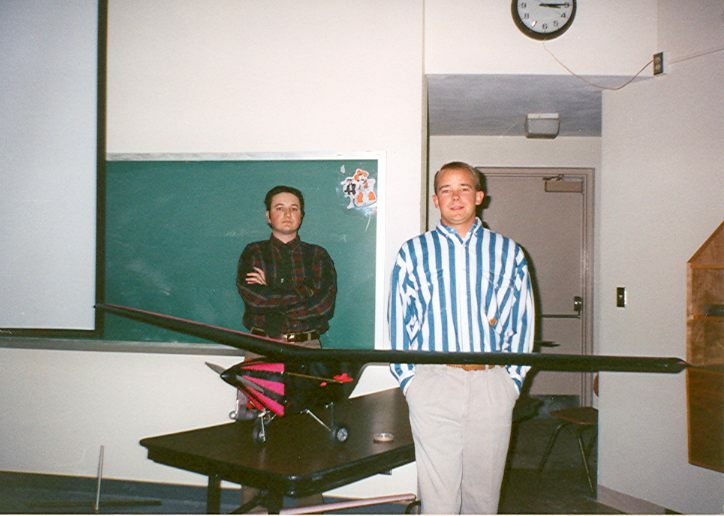 The design goal was to build an aircraft subject to the SAE Heavy Lift contest rules. 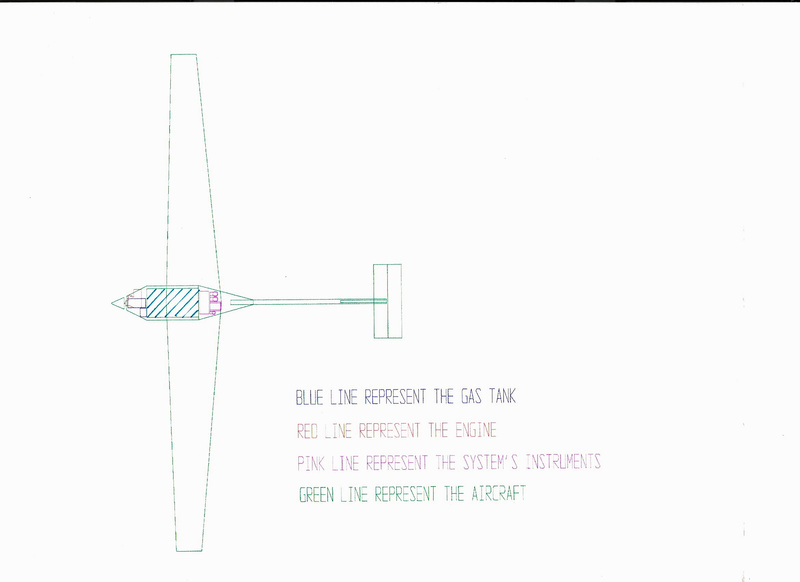 The most restrictive design constraints included a total planform area limit, a runway of 200 ft, as well as the restriction to an unmodified 0.61 cu in K&B glow engine. 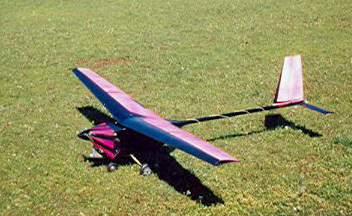 The Pink Panther was named for the pink foam that was used in the construction of the wing and stabilizers. 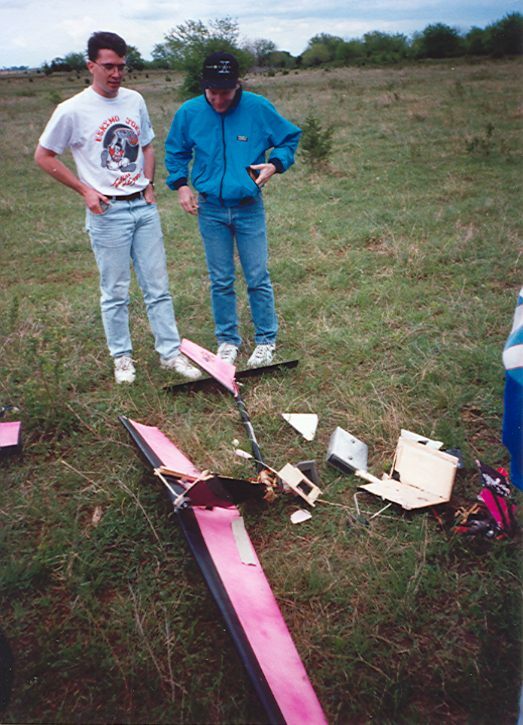 The Pink Panther Team was lead by a chief engineer, and was divided into 4 technical groups: Aerodynamics/Stability and Control, Propulsion, Structures, and Systems. 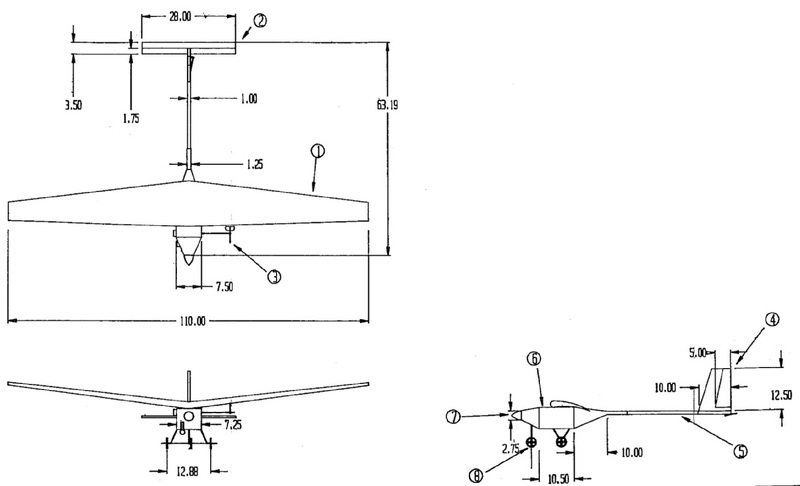 Chief Engineer: John Hammond, Jr.
A total planform area of no more than 1200 sq in. 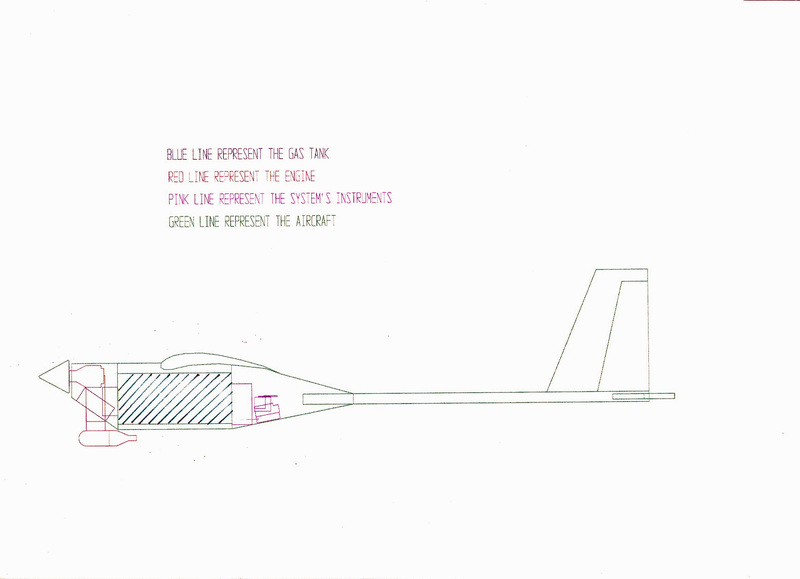 This area included all surfaces visible from a planform view of the aircraft, so tail area, fuselage, and even wheel area had to be taken into account. 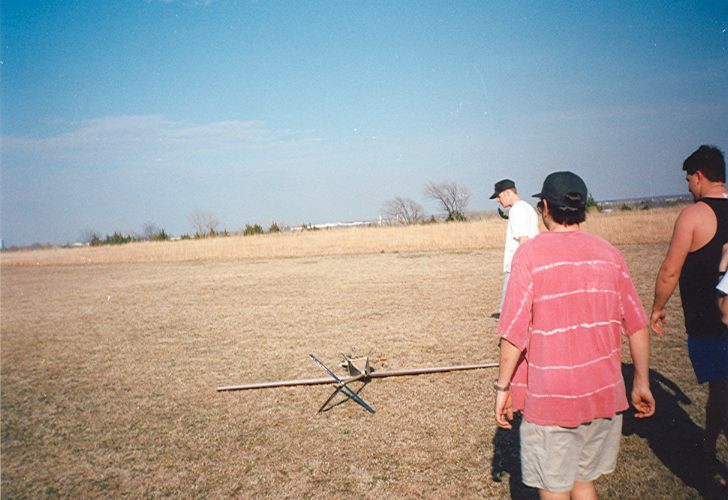 This was the first year that the aero design class were to actually build and fly their designs. 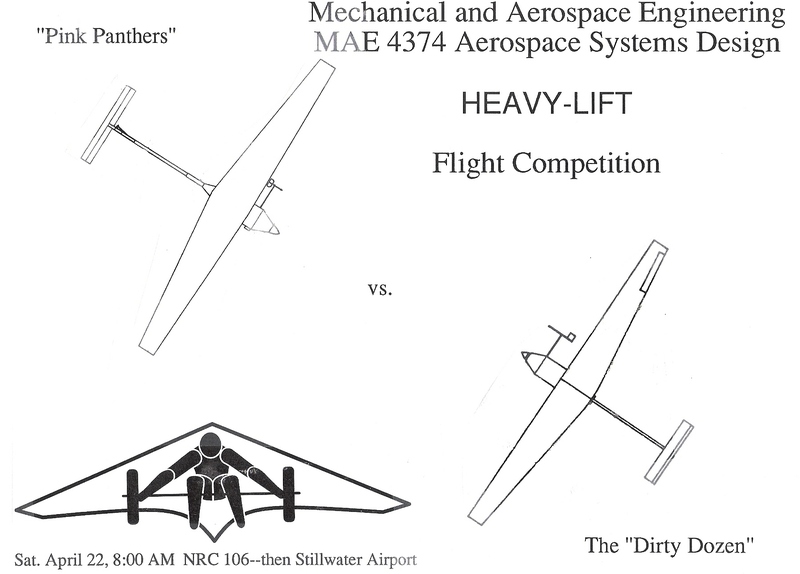 The intent was to not go to the contest the first year, but to have a flyoff in Stillwater, subject to the SAE contest rules. 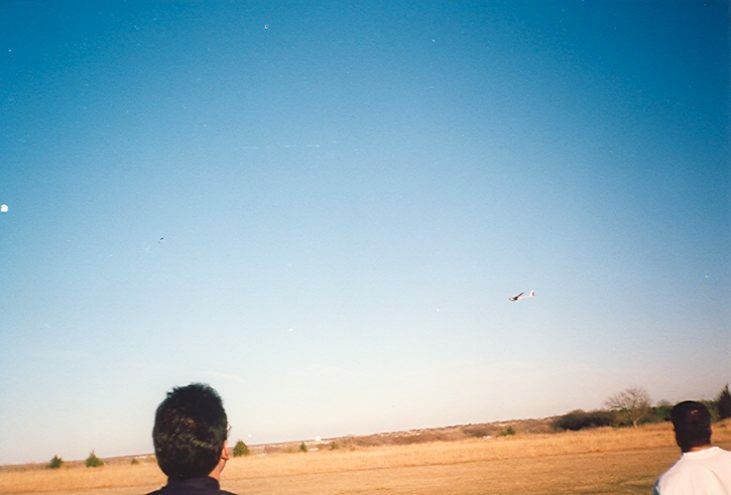 (In the Miscellaneous pictures above an official announcement may be seen.) 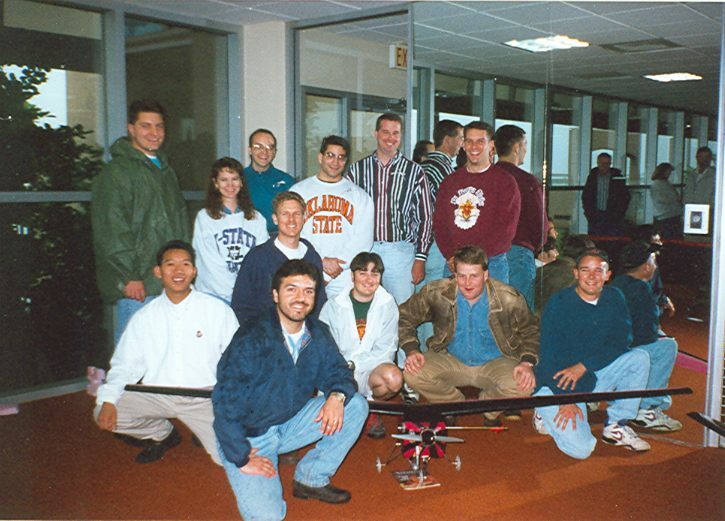 On the day of the flyoff, schedule was for the teams to make a final design presentation in the NRC, and then the teams and spectators were to meet at the Stillwater Municipal airport for an actual flyoff. 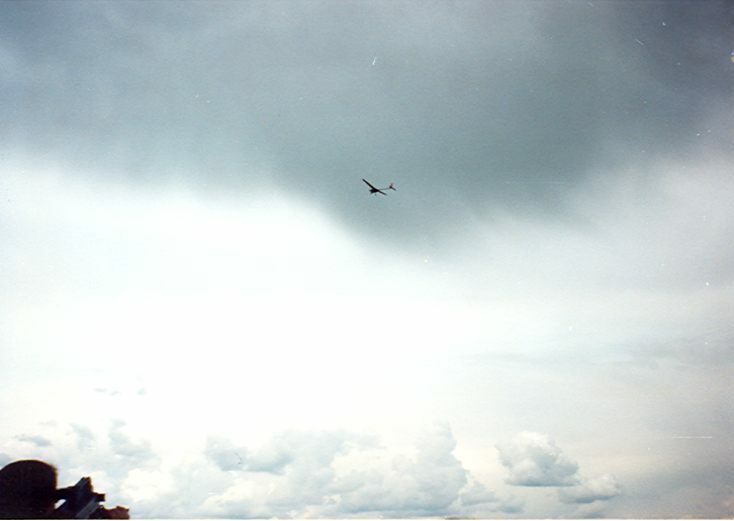 Rainy conditions made the flyoff very difficult, and when the Pink Panther made a flight attempt, it ultimately crashed. 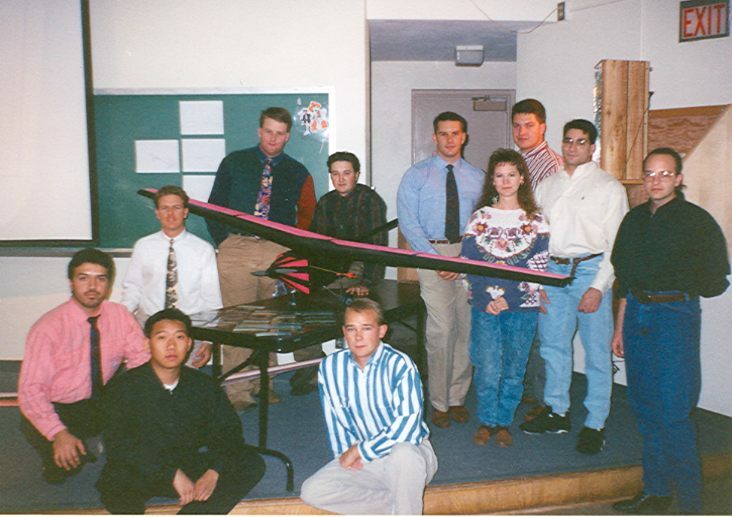 The Dirty Dozen team was not able to make an attempt that day. 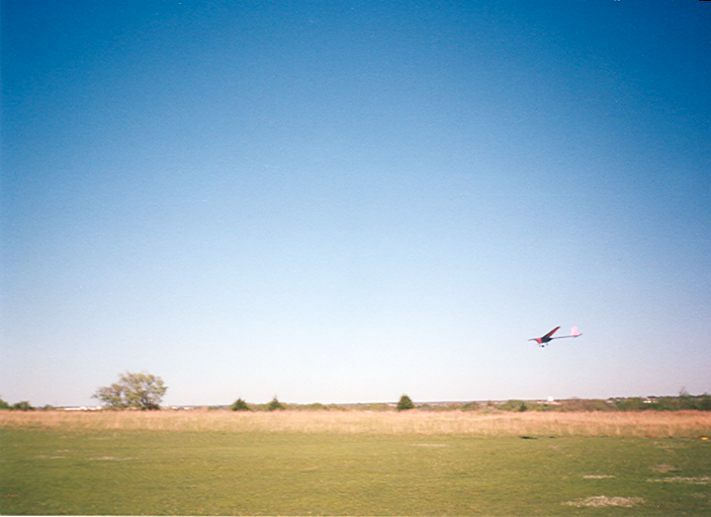 Ultimately both teams developed aircraft that flew well with a significant amount of payload, and were pioneers in the OSU Aerospace Systems design class. 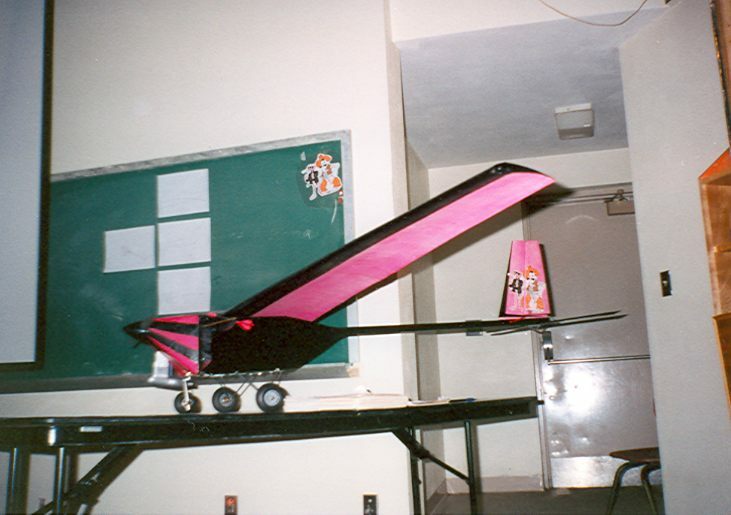 Aerospace Design: 1995 Team Black "Pink Panther"